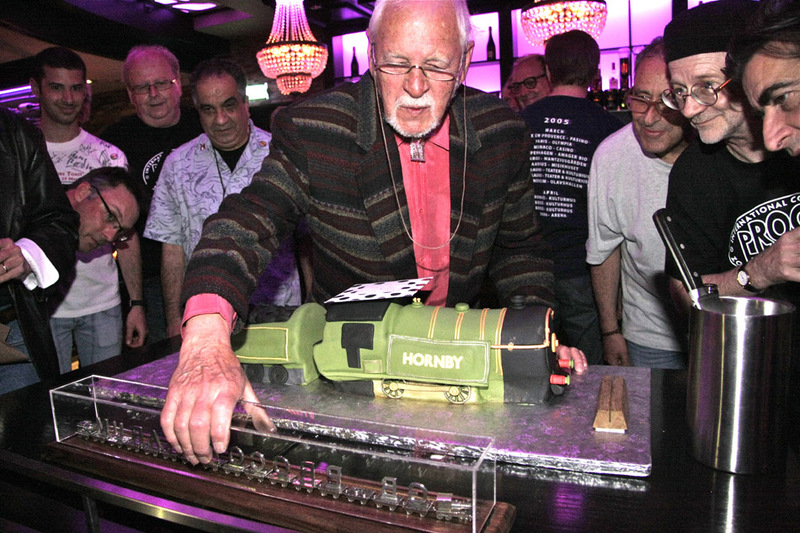 Gary Brooker MBE called ‘Beyond the Pale’ at 10:20 on 23 January 2017, and following some early-day pleasantries we took the plunge and posed a handful of fiftieth-anniversary questions. There's a lot to read on this page, but it's worth it! 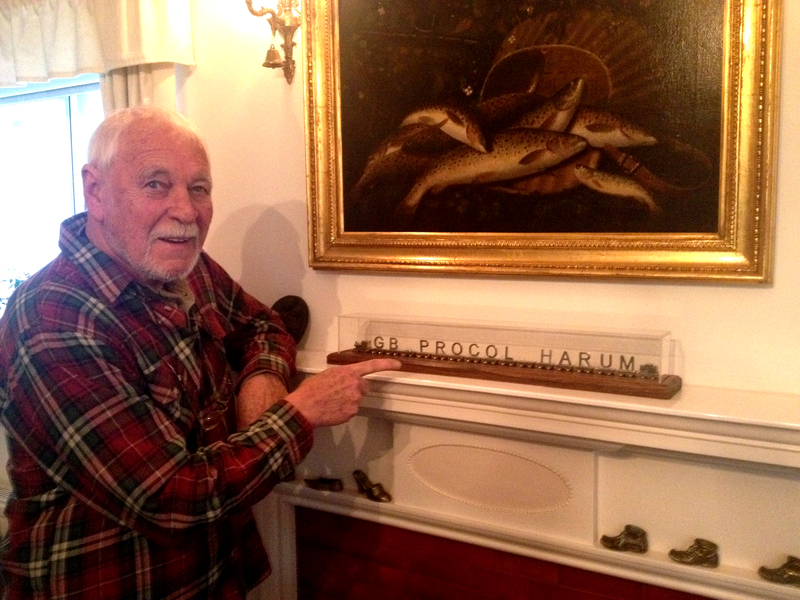 Gary, it’s exciting to be asking you this: what can you tell us about the forthcoming Procol Harum album, and why it’s called what it’s called? I think firstly, despite the passage of time, it seems we have not been in the studio since … well … we actually did our last one at the end of 2002, I suppose it went into … 2003 let’s say, since Procol were in the studio: and that’s a huge amount of time really, although it seems to have gone quite quickly. But that’s all part of growing up! You’ve always got to call an album something. We did have another possibility, but that has fallen by the wayside. I suppose it was my idea to call it Novum. I’ve always been fascinated – well not fascinated, that’s a terrible word – but in the early days when we found out that ‘Procol Harum’ was in fact bastardised Latin …it’s still a bit doubtful what it means, but many people at the time translated it as meaning ‘beyond these things’, procul with a ‘u’ being ‘beyond’, I believe, and ‘these things’ was ‘harum’ … am I right there? I love it! (laughs) No, I mean when we were working on In Held ’Twas in I – I’m always amazed that people don’t know why it’s called that – when we were first working on that we called it ‘The Great Work’, because it was going to be something longer, linked up by various melodies and things; and that got expanded to be ‘O Magnum Harum’, but that fell by the wayside as well … perhaps it was a bit pretentious. But anyway we’re back in Latin for this album, and because we haven’t made one for many years – and this was a very new approach – I wanted to call it something Latin, which sounded a bit like ‘Procol Harum’ … so had I had a word with some Latin people. No, these were real Latin people. When the Romans left here, approximately 400 AD the last of them got on the boat, we did retain the language for about a decade, and there are descendants of those people – you’re not going to write all this down, are you? It sounds like me on stage. Anyway, descendants of these people are still able to speak the language today. So in fact I spoke to my mate Peter Dicks, who got rather complicated over it, but ‘novum’ seems to mean ‘new’ and when I had a look on our faithful Wikipedia and the web, I found that really ‘novum’ meant ‘new idea’, in one word, and I thought that would suit this album absolutely perfectly: I think it goes with the artwork a bit more as well. So that was it. That was how the title came about. And it’s the first album with the line-up established in 2006. Yes, the first time we’ve been in the studio with this group, surprisingly. So it was a very new thing, an untried thing as well of course; because although we have recorded with Geoff Whitehorn and Matt Pegg, with the … who is it that’s on fire? Yes, The Well’s on Fire … now with Geoff Dunn we haven’t done it before. And there are many other changes, apart from the fact it was just our album Novum; it was also perhaps a new path, because these people were now … I mean, think of Geoff Dunn’s situation: in playing past Procol things, he’s always been doing something which somebody’s done before; and of course the same thing applies in many ways to Geoff Whitehorn and Matt and Josh, in fact all of them – apart from my honest self – to go into a studio and do new things without having to worry about anything else, any past if you like. And everybody in the band has always had a great respect for the legacy, so that’s always a bit in your mind. It didn’t eat at us this time: so we are on to something new. You’ve got a majority of co-composed tunes this time, haven’t you? Well yes; I mean I, personally, thought that it was time that the other members of the band – mainly Phillips and Whitehorn – it was time for us to get together and see if we can come up with some songs. I was a little bit worried about that, because I didn’t know how it would turn out. We did try when we were in Japan, Josh and I, and I think Geoff was there as well. We did go into a studio, it was Josh’s idea, to have a go at writing something. In fact it was a bit of a disaster, in the sense that he wasn’t on the same wavelength as me: he seemed to be going down some kind of funk alley, and I tried to change it to make it a bit more … to get it out of that … but it didn’t end up well. But it was a rushed attempt, in the middle of something else, and I think I was probably recovering from one of my injuries at the time: I think my head was gone. So I was just a little apprehensive in some ways, but having heard these people play for the last decade at least, I thought, ‘They’re very capable, and let’s see if we can actually come up with something original.’ So last June we started actually, just the two or three days, and it worked really well. I came up with ideas which Josh expanded upon for instance, really well, not going down some funk alley, but coming up with very original and really good ideas. And then Geoff would have an idea, and that would spark an idea. And did you work in the same room, or did you exchange ideas … remotely? Oh no, you were either in the room or you weren’t in on it. So when was Novum actually recorded? Well, we went into a little studio to do that writing process, and I think we stopped doing that in about September. We weren’t doing it all that time: we did a bit in June and a couple of days in July, and then in September. And then we saw that we had about ten songs, and we thought, well we’ve got enough, and we were pleased with what we were coming up with. And we were actually on a bit of a time-schedule as well, because one of the reasons that it seemed a good idea to go into the studio was in fact this year as we speak now – it was next year when we were doing it – Procol Harum has been around for fifty years. So it seemed that one could not let that go by, without doing something: it’s not enough just going out to do a concert tour, it had to be something a bit more substantial, something more lasting. So that’s what drove us towards our goal, and we went into the studio in October, and by 5 November we’d finished it. Yes, but five days a week, mind. And a bit of icing on the cake afterwards, perhaps? You might have check with Chris, but I think it’s 21 April, and of course it’s being announced this week. The actual ‘get it in your shops’, if there are any shops, will be in April. I hope all formats: CD, vinyl, downloads … is there anything else? I think that died out, didn’t it? And can you tell us about the producer? Dennis Weinreich, who I’ve decided now is a most magnificent man. He did a lovely job on those live albums. Well, I’ve met Dennis of course, and I know he did those, but not being a real technophile, I don’t think I’ve ever actually had them. You should get them, they’re good! Well Dennis did give them to me, and I’ve been working on the covers which you kindly sent me, but I’ve got to print them on to some sort of paper that I can then put into a sleeve … but I’ll get there, I’ll get there. I was very pleased with the work that Dennis did on mixing ... Some Long Road ... and MMX. He did a fine job, but more importantly, having talked to him just before we started recording our present album (and he also came down when we were songwriting, two or three times, just see how things were going) … most importantly in the process of mixing those live albums he got to know Procol extremely well, as if he’d been in the band or coming round with us every day. I think in the end, over the course of two live albums, I think he listened to seventy-nine concerts, and in the course of that he got to know a lot about the band. I think he probably realised, after seventy-nine concerts, that I tend to talk sometimes, in between songs, and he had to endure all that. But he did really get to know what the band was like, and, if you like, appreciate its good points, its musicality etc. And he was very enamoured of that as well, that we were a great, great live band, and he really wanted to keep that spontaneity of liveness in the recording. It certainly sounds as if it’s recorded live. We recorded it live, yes, over three weeks. 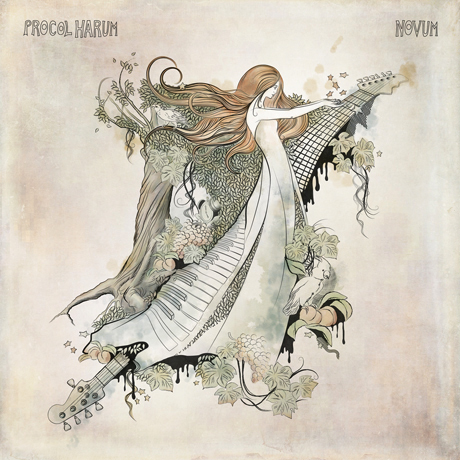 But I started to realise, personally, as we went along day-to-day, that in fact Procol Harum was in fact a great bunch of musicians. There’s always a bit of apprehension, if you like, when you get into the studio. Don’t forget we went in in early 1967, and when you’re in the studio, things are laid bare! And if the rest of the band are hearing the songs for the first time, you can’t mess around. But this time it never seemed to take very long: they all picked things up very, very quickly. How do you present new songs? Do you bring in lead sheets, or demos? We have made some demos, but not serious demos, they’re mostly me and Josh, and Geoff Whitehorn when he was there. And we made them with a very rough vocal idea if I had one, which I usually did, but it might be just ums and ahs, or it might be words that were in front of me that I thought might fit. When I say we recorded it all live: I would sing it roughly while we were learning it and while we were recording it, but then I did redo the vocals afterwards … because I was learning it a lot myself as well, as a singer, and also moulding words in, phrasing-wise. If there was a little change needed for whatever reason, that had to be done. So that had to be crafted a little bit: so we recorded two or three or four at a time, then I’d have a go at the vocals. And also during the process of three weeks, one was also able to listen to what we had done. The backing music didn’t change – all you’d recorded, the rhythm and the feel, that was all there – but one could think, ‘Well hang on, I could just make a better tune on that chorus-y bit’ or, ‘I don’t quite like the way I’m singing that.’ Because even a couple of the keys were guesswork, you know (laughs): you’ve learned something and recorded it in C for instance, then you think ‘Well I wish I’d done that in F!’ But then you just write a tune that will fit in that key. And you have some pretty elaborate vocal arrangements. Well yes. Unfortunately, like most British bands after The Beatles, we don’t ever appear to have had five vocalists in our bands like the Americans do. But these chaps actually did very well, I think. So that’s Matt and Geoff, the choir on Neighbour? And Josh! He’s always seemed reluctant to be involved in that – not that we’ve done a lot – but even in live shows I’ll go, ‘Will you join in on this one, Josh?’ and he’ll just say, ‘I can’t sing.’ And I thought, ‘Well he’s got a great ear, he knows what notes are. Does he mean his voice will not sing in pitch?’ But no, turns out he could sing very well, and in fact has a good falsetto voice as well. Is he the high ‘Don’t Get Caught’ voice? Yes, he’s the high man, when required: he just seems to be able to do it. And with a little bit of tutoring, because of course when you sing something you have to give it some sort of accent, or character. You can’t just sing it like you talk, and he hadn’t done that before. So I said to him, ‘Don’t sing it like you’re sitting in the pub on Friday night’ (though there is some of that in Neighbour (laughs)). Yes, a touch of Small Faces. It does have a serious harmony part in one of the choruses as well, where we worked at it a little bit. So will you be expecting to play that one live? Ooh! Have I thought that far forward? I would think that we could play any of these live, and if and where we have backing vocals or harmonies, I’m afraid we’ll work at it, so we can do it. We’ll hold you to that. Yeah, a Kate Bush mic. But we’ll worry about that when we come to it. Who sings the deep voice at the end of I Told on You? Is there a deep voice? I think that's Josh Phillips too. Really? Deep here, and falsetto elsewhere! He's got a lot more talent than I realised! And so has Geoff Dunn. And Matt Pegg is absolutely brilliant, I've never realised how brilliant he was. It was only in this … I really do believe this … thoroughly … hearing a song he's never heard before, and by Take Five he's learnt it, played it, not just played it, but played brilliantly. And most adventurously in some cases. I was very struck by the bass playing. There is one track where everybody always says, ‘Who is on the bass?’ ‘What, don't you know? You're the boss of the record company! It's Matt bloody Pegg!’ And the same applies to Geoff Dunn and Geoff Whitehorn. Given a project that they were actually involved in, and were important to, and had to create, they all came up to the mark. And do you think you’ll play any of Novum at the Royal Festival Hall? Er, yes, I think we will; we will be introducing the album by then though it won’t be in the shops. Thinking of that, there are certainly some on this Novum album which I’m sure could be expanded upon, or made more luxurious, if that’s the right word. And I’ll be doing that in a couple of weeks actually. Sunday Morning is orchestrated by Josh on the Yamaha Montage on the record, so perhaps that would be a natural one? Oh yes, yes, there’s at least two or three on there that put themselves forward immediately and would be no trouble at all. Of course you’ve got to write them out, and when you start writing an orchestration you start thinking of other bits you could put in, to make it interesting. It’s not just a matter of the violins holding a pad. I’ve had lessons with Nicholas Dodd, and he said you have to make orchestrations interesting for the orchestra. No good sitting there holding the G string for sixteen bars! Let the violins do it for four, then give it to the woodwinds! And if you’ve got lead bits, you know, don’t let the same person play it every time. You can get the oboe there, and then the clarinet or violas, you know, make it interesting for the orchestra … and keep them on their toes. Maybe I Am the Only One could be another good orchestral tune? Far from it! I wonder if our American chums will get a chance to hear the album live later in the year, those who aren’t coming over to the Royal Festival Hall? They can’t go to the Royal Festival Hall now, it’s too late. Yes. Well, I don’t think we’ve got any American dates at the moment. So they’re going to have to come over here? I’m afraid so, if they’re that keen. We are playing quite a lot of different places, so they don’t have to pick London or Birmingham. Yes, it would to the Americans, because everybody there will be speaking proper English and they’ll be all right. And how did you choose Sunday Morning to be the single? It just seemed … well I think … I don’t know if you have singles these days, you probably don’t. Whether we’re having a 45 or not, I’m not quite sure whether vinyl comes into it. But nevertheless you’ve got to have something that you can say to radio stations, ‘Here is a track from the new Procol album.’ That one actually, I always thought that was a good tune: it seemed to have … to be quite catchy: well, it always tormented me in bed every night for weeks, and Sunday mornings are especially bad, because you get up and you think, ‘What day is it, oh it’s Sunday morning … here we go again.’ Hopefully it’s sort of Procol-y … but that’s probably ’cos it’s Gary singing. And it’s also quite un-Procol-y in some ways: not much lead guitar, the drums very mild. But a great introduction to the new approach. Novum is a kind of cousin to the Salty Dog album with its kaleidoscope of styles, which fans loved in 1969, when we were all younger. Let’s hope fans still prove to be as open-minded as the band! And we haven’t talked about the lyrics yet. That song has real freshness and innocence from Pete Brown. We know you have a long history with Eric Clapton, and you’ve played with Jack Bruce: how did the writing partnership with Cream’s lyricist come about? Well, I’ve known Pete Brown on and off over the years. Now and again we seem to bump into each other, and that happened prior to this, and it was suggested that Pete maybe could be a good man for Procol, and he’s achieved that I think. He’s fitted in, and it’s given us a goal, something to knit everything around, and I think that the lyrics now – that are on there – are of a certain ilk; you know, they’re not wildly different, not to me anyway. I don’t know what the listener will think, but I believe we have something that all connects. What would you say the themes of the album are? When you played it to me in November, I thought there was a lot there about envy, war, power and especially the march of time as well. Ah, well there you are! I mean sometimes, things … it was in a film somewhere, where somebody said that music was actually made up of four constituents: melody, harmony, rhythm … your melody is your main tune, the harmony’s what’s going on behind, and it has a rhythm and tempo. And also you have added interest, in a piece of music, so it’s not just chords and harmonies and melody and rhythm: the added interest comes in, in that in a certain verse the backing might drop out a bit, or some little bits might come in from the guitar (in our case this is) or from Josh Phillips, or myself. So that’s the added interest. But the other element, which isn’t usually in there at all, is the element of chance. I think it was James Mason in a film of some sort who said, ‘No work of art is complete until the element of chance has entered into it’. And that’s something you can always fall back on, and very often when you’re doing something with others then chance can come into it: and I think that’s what Pete Brown working with us is: the element of chance. Fans will be surprised that Keith Reid is not involved. Well I’m sure they will, I’m sure they will. I don’t actually know where Keith Reid is, but at some point in the past, the fairly recent past, I’m not talking about … I don’t know how long ago I’m talking about… eventually I think Reid and I came to a crossroads … you either went this way, or you went that way. And he went that way. And I went the other way. That’s the only way I can describe it, a crossroads. He hasn’t given you any song words in quite some time, I guess? There were some Brooker/Reid songs you were recording in 2009, I think. Are they going to see the light of day now? I don’t expect they will. They won’t be burnt, I don’t think they will anyway, they won’t be burnt but we didn’t think, ‘We’ve already got a couple here, we can use them on this album.’ That was not the thinking at all. We were after something new. They might still turn up in concert? I think we’ve done all the ones you’re probably thinking of. Yours if you Want Me. Well, anything you play new, it’s not new by next day. It’s unfortunate, I think, but if we’d played any of these new songs last November when we were in Finland … I mean we didn’t even allow ourselves to hint at them while rehearsing, sound-checking, in case somebody was listening. It’s a very strange world as far as that goes. And you don’t have the luxury, these days, of trying something out on stage and playing it for ten concerts, finding out perhaps how you could improve it. Well hopefully there still is a thrill (laughs). And did you then give Pete Brown some pointers as to what you thought the mood or theme of each track was? Elvis Costello is quite a big one for mixing those up, mismatching …. Well I mean Luskus Delph was quite a mismatch as well, so it does happen now and again. But in this case you had music, he had words, and you brought them together? Pete came down to writing sessions, and therefore heard what was going on, and he might say, ‘I’ve got a good one for this,’ and he’ll pass it across. I have a go, and either say, ‘Yes, yes, that goes very nicely with …’ Of course sometimes we had a bridge, and he didn’t in his lyric; and sometimes he had a bridge and we didn’t have it in the music, so you know, you just keep working at it – not too hard – and everything just kind of fits together. The element of chance! Yet there are two songs you’ve written the words for yourself. Ah … what about Soldier? Well sometimes you can’t find the lyric, you know. Sometimes, however how much you try, perhaps Pete’s not quite seeing where the musical side is heading for, and he’s also got to imagine how I might sing it, you see, which he cannot do of course: nobody can do that. He did sing with his own bands, didn’t he, though in a very different style? I will sing over a musical background idea, you know, and the melody will not be thrown away in some blues fashion, it will be something that fits unusually over what’s going on, and takes wing. You did once say you didn’t feel you had much gift at writing words, before you wrote the whole of your second solo album. I guess you feel you can bring it out when it’s needed. Yes, I can. I know this, it’s hard to get it out of me, but if it came to me for whatever reason to write a lyric then it would be … I would have very strict and high standards. The BBC recording you did a couple of years ago, that was a huge success, a London sell-out. And up-and-coming bands are name-checking Procol as a major influence. Maybe this resurgence of recognition has fed into your current whirl of activity? The fact that you sold out a major London theatre, and the broadcast was requested and repeated, that must’ve been a bit of a fillip? Starting with an ‘f’ fillip? Well, it's few and far between that we play these green and pleasant shores, and so it was great that it was such a great success at the Dominion … was it 2014? But we very rarely play in England, and we are always quite excited. But we played at Leamington Spa, but it didn't seem to be that good: but enquiring since then, I found out that the promoter did a damned awful job. Oh God! Well sometimes you get involved in something like that, and you think, ‘Well somebody has gone to the trouble of booking us – knowing our history, how we don't often play in England etc. etc.’ And you think it will be a great success, and at least the place will be sold out. And it wasn't a 3,000-seater concert hall, it was a small club! So sometimes you get disappointments. You're playing some big halls, aren't you? I don’t know, it's a long way off. We are … what, Free Trade? It might not be. Anyway he’s a good promoter, and they’re already selling well. But if we go back to Novum. At the end of the album, we get this heartfelt and very poignant track, Somewhen: just your words, your music, voice and piano, and it ends with a machine click as if you've just made a home demo. I think (hesitantly) it's probably very rare, very rarely, that um … that Brooker’s put down the way he feels about something. And that's what that is. That’s that, and everybody really liked it. And they liked it, the way I had presented it. They didn’t want to add things to it. (chuckles). They didn’t think they could. So it ends up sounding intensely personal. Probably that’s part of it, and it probably really is personal as well. An interesting way to end what’s otherwise a very band-oriented album. Yes, you know, I thought, ‘Could you really could put that there?’ But everybody really liked it there, and Mr Weinreich says so … so there you are. Fans are aware that you’ve come through some trying times in recent years and it’s fantastic to hear you in such great form … ‘beyond these things’ in fact. Well you know our manager, Chris Cooke, and I, we were in the same gang when we were about fourteen – all from different schools, but with the same likes and tastes. And that has bound us together over the years, as Chris also took a musical path in his working life. Finally, in the new millennium, we got to work together, and his belief and support of Procol for the last fifteen years has enabled us to continue through many trials and tribulations, with him as our rock, at home or on the road. And for many more years to come, I hope. Speaking as a time-traveller, what would the Gary of 1967, or even of the Something Magic era, make of this fiftieth anniversary? Well I think he would be absolutely amazed, that he’s still there. I don’t mean that I expected that I would have died, I don’t mean it like that because, like all things, a bit of moderation is always required, and of course moderation is usually encouraged by somebody that’s an important part of your life. You know, if I was just there on my own, with no Franky, who knows where I would have gone? But I’m not a chemical person really, I don’t think I’ve got an addictive body clock in some way, which I know I’ve had friends and colleagues in the band that seemed to be that way. And it is common knowledge that you can go down a slippery slope and not get out of it. 'So many slippery floors,' as you sing on the single. Yes! It’s good to have somebody very firm with you … well that’s my point of view. Sometimes people don’t listen, you know, to people that are telling you shouldn’t do that. You know, you could be Gazza the footballer, he didn’t seem to listen to anybody. Sometimes they do get over it all and listen, like Jimmy Greaves – I don’t know why I’m on about footballers. I think they probably have quite an intense and demanding work life. And a fair bit of spending money. Well, yeah, we’ve never suffered from too much of that! But you do need, now and again – and in a band, when you’re on tour – you need to wind down: you can’t go home after playing to a couple of thousand people somewhere, after having a really great night, and go straight to bed! I wouldn’t even be able to sleep! It takes a couple of hours of winding down, you know, which is usually sitting with the others, having a drink or something, or sitting with some friends who were there and doing the same. Some people just take that too far. Going back to 1967, I mean when we put A Whiter Shade of Pale out I think we believed that it was a good hit record; we didn’t even think it, it was just that it came out the way we wanted it to, and that it had that a great sound and atmosphere. Because at that particular moment in time I was very ensconced in that life, of writing and getting the songs down, and getting the band together and … and suddenly it was number one and that was … well it was sort of expected … but it wasn’t expected to be number one in Venezuela or South Africa or even America, that was a long way away, that was a dream over there. I mean I had a dream, while A Whiter Shade of Pale was at Number One, that we were playing in San Francisco in a wonderful place that was all full of light … and we were actually there by October, doing that very thing in the place I think I had the dream about. So you dreamt about the Fillmore West auditorium before you’d been there? Yes. I didn’t even know where San Francisco was, and I mean that in all honesty. And this half-century is the continuation of that dream? Well, I suppose what I’m saying there is that one often does not think that far for forward. And you’re not philosophical when you’re twenty: perhaps we should be, but we’re not. So you don’t think, ‘Where is this all going to end up?’ I’ve never been the sort of person who will go, ‘Well, I’m not doing this for long, this will fade out quickly.’ I’ve gone with the flow, always. 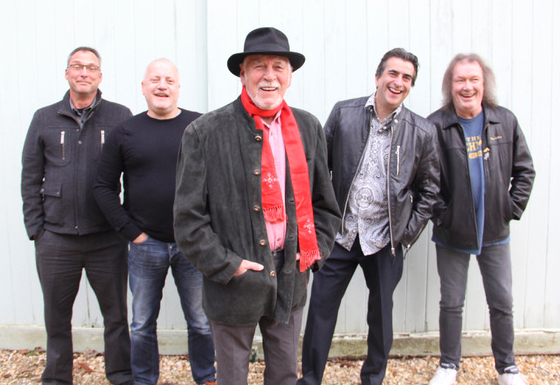 And Procol Harum has already sold out the Royal Festival Hall for March. Fans from all over the world are looking forward to seeing you there, and we’ll be going for a drink afterwards, in a bar behind the hall. Where are we playing? South Bank? Yes, and loads of people are travelling here for that particular gig, because it was advertised as the ‘fiftieth anniversary concert’. But you’re not doing anything particularly unusual, are you? Bringing on guests or anything like that? I haven’t even thought about it. That’s a long way forward. Well all right, it’s six weeks! Loads of time to think about it. I mean if you look throughout Procol’s life, very often things have come up at the last minute. You know, so we’re going to play with the Edmonton Symphony Orchestra in 1971. Three days before, we suddenly think, ‘I wonder if we should record this? We haven’t done it before, we might not ever do it again, perhaps we should record it you know.’ A couple of phone calls, Wally Heider gets in his truck, drives from Los Angeles to Edmonton Alberta. He just about made it! (laughs). And sometimes things don’t get done up to the last moment. I’m not saying that that is the case here – just that things are not all planned months in advance. Are you recording the Festival Hall show? Sorry, I don’t know. I think we normally record every time we play: we have the technology these days, some machine that does it without any trouble at all. And I think that works with orchestras as well. Keep it switched on, I say. Well, yes. But sometimes it's very complicated to arrange for that to come out. When we’ve got another hundred people involved, the BBC for instance, or a choir of some sort. You’re not dealing with a couple of other people, or five musicians: you’re talking about Establishments. I've kept you an hour; we probably should stop now? I’d like to say that this is one of the finest albums we’ve done, one might even say ‘ever’. Once I’ve heard it again in about eight years’ time I might say, ‘You know what, that was brilliant.’ But at the moment I feel that it’s absolutely fantastic and I could not have wished for anything more, personally, than what these musicians and Pete Brown have achieved this time, and also Dennis Weinreich, whose production ... you can’t get anybody better to do this, he’s a fantastic producer. And a very good human being that was able to deal with Procol Harum, and deal with me as well. Well, many thanks. Now I have a little typing to do. It's not gonna be a tome, is it? Well, we wanted a nice comprehensive statement for everyone who follows BtP. Big Town Playboys? Oh no, sorry, for some reason I confused the initials there. I do refer to it now and again, BtP, and it usually comes up with the answer. ‘What did we play last time we were in Finland?’ for example. Because we’re going over there again, and we don’t want to play the same set by accident. We don’t do that! Or we try not to. Always the added interest. That’s good to hear. Thanks, Gary: see you soon!